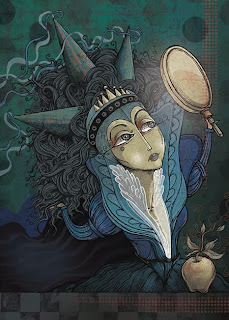 THEISPOT.COM: Illustration News: Dennis Wunsch: Who's the Fairest Lender of Them All? Dennis Wunsch: Who's the Fairest Lender of Them All? Dennis Wunsch created this full page illustration for the January Scotsman Guide Residential edition, for an article focused on government scrutiny and fair-lending laws.